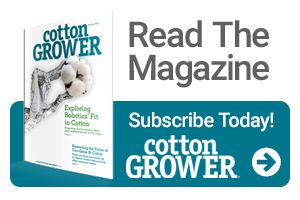 When USDA says the most widely planted cotton variety in the U.S. for two consecutive years is part of your product lineup, that means you have something special. But the level of success enjoyed by DP 1646 B2XF has even caught the Deltapine staff a little off guard. The same holds true for several other Deltapine B2XF varieties such as DP 1725 B2XF and DP 1518 B2XF, both of which have shown excellent performance this year across multiple environments. But 2018 saw the launch of Deltapine’s first B3XF varieties as part of the company’s Class of 18. As Gholston explains, these varieties were released to fit particular places across the Cotton Belt, and they have not disappointed. Gholston also complimented the yield and fiber quality seen from DP 1845 B3XF, the overall performance of DP 1851 B3XF along the East Coast, Southeast and lower Mid-South, and the fit for DP 1840 B3XF in tougher dryland and sandier soils in the Southeast and Mid-South. Next up are the decisions needed to determine the Deltapine Class of 19, which Gholston describes as “chocked full of potential.” Four B3XF varieties – including both early and early-mid maturities – have been widely tested this year in the Mid-South, the Carolinas and Georgia. In addition, two early varieties – one B3XF and one XF – have looked promising in west Texas, especially north of Lubbock into the Panhandle and parts of Oklahoma and Kansas. Deltapine expects to announce the Class of 19 varieties during their annual NPE Summit in December. 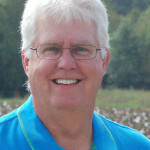 Jim Steadman is Senior Editor for Cotton Grower magazine. He has spent more than 40 years in agricultural writing and marketing.